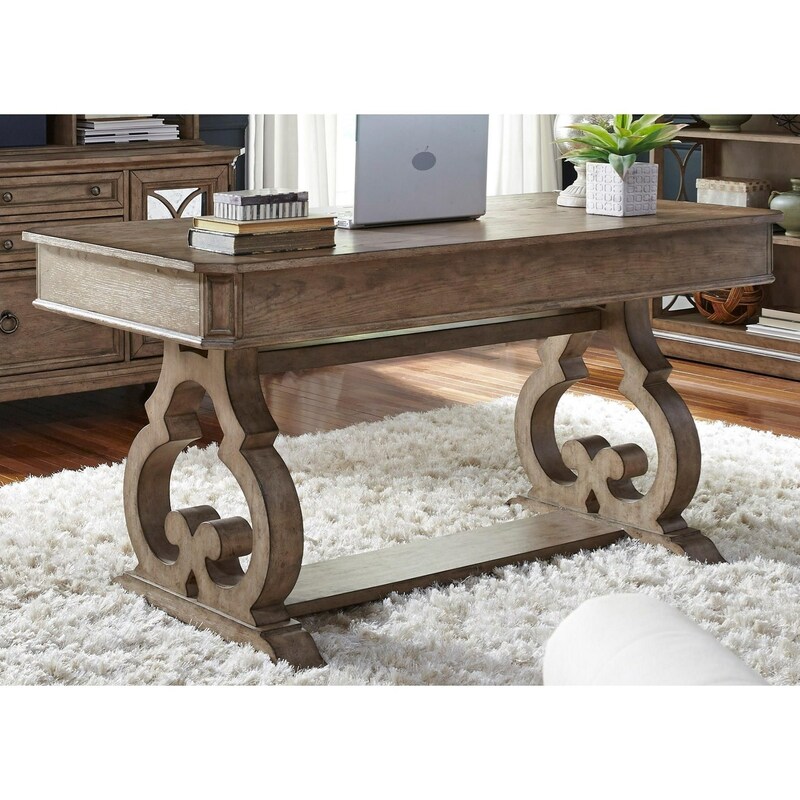 Create an inviting office space with this writing desk. Its cottage style is infused with details, such as its scrolled legs and canted corners, that add elegance to this piece. Its two pencil drawers ensure that you can keep your dedicated home work space clutter free. The Simply Elegant Cottage Writing Desk with Two Pencil Drawers by Liberty Furniture at Prime Brothers Furniture in the Bay City, Saginaw, Midland, Michigan area. Product availability may vary. Contact us for the most current availability on this product. The Simply Elegant collection is a great option if you are looking for Casual Cottage furniture in the Bay City, Saginaw, Midland, Michigan area. Browse other items in the Simply Elegant collection from Prime Brothers Furniture in the Bay City, Saginaw, Midland, Michigan area.